Minecraft: Xbox 360 Edition is the UK’s number one for the third week running. The last game from Microsoft to hold the top spot for three consecutive weeks, believe it or not, was Forza 2 back in 2007. With the Premiership nearly upon us FIFA 13 rises back to #2. Then it’s The Smurfs 2 at #3, up from #5, followed by new entry Tales of Xillia at #4. Namco must be pleased with that top five placing. It charts highly in the PlayStation 3 chart as well, knocking The Last of Us from the top spot. And what’s at #5 in the top 40? Why, it’s Animal Crossing: New Leaf. Elsewhere, Pikmin 3 remains in the chart for a third week – now at #23 – while down the lower part of the chart Dead Space 3, Medal of Honor: Warfighter, Sniper: Ghost Warrior 2 and Remember Me re-enter due to recent price cuts. Now that Remember Me has dropped to the magical £20 mark, we heavily recommend those cautious about it upon release to finally give it a try. It really is quite spectacular to look at, if not quite as impressive in some of the other departments. Backed by a string of 10/10 review scores, The Last of Us has unsurprisingly become the new UK number one. The last time Sony took the top spot was with Uncharted: Golden Abyss over a year ago. Moreover, it’s the third fastest selling game of the year so far and also takes the accolade for being the biggest new IP launch since 2011’s L.A. Noire. Crikey. The ever inquisitive Eurogamer did some digging in to how well The Last of Us has sold compared to Naughty Dog’s own Uncharted series. They report that the opening tally was five times greater than the original Uncharted and that it had stronger launch week sales than Uncharted 2. It didn’t, however, outperform Uncharted 3. Nintendo must be content with Animal Crossing: New Leaf taking #2. That makes it the best 3DS launch since Mario Kart 7 and the biggest 3DS launch ever for a non-Mario title. To make way for the new arrivals Grid 2 drops to #3. Codemasters’ racer is then followed by Tomb Raider – which is up from #7 to #4 – and FIFA 13 at #5. Last week’s new top 10 arrival Remember Me has already departed, dropping from #3 to #20. Rugby Challenge 2: Lions Tour Edition is the only other new entry in the UK chart this week, taking #12. Capcom’s futuristic third person adventure Remember Me has had a far better launch than EA’s new IP Fuse, entering the UK chart at #3. This sticks a firm two fingers up at the publishers who refuse to believe there’s a demand for titles with female protagonists. Incidentally, Fuse has now left the top 40 entirely after débuting at a lowly #37 last week. Codemaster’s Grid 2 is still the UK’s number one, and is followed by FIFA 13 at #2. At #4 it’s another surprisingly high new entry – The Elder Scrolls V: Skyrim Legendary Edition. Curiously, plain old vanilla Skyrim is still in the chart at #25. The only other occurrence of note is Monster Hunter 3 Ultimate re-appearing at #34. A sensible guess is because of Nintendo’s recently announced offer of a free download for new fellow 3DS owners. With Capcom now focusing development back onto their internal studios, chances are Remember Me and Lost Planet 3 will be amongst the last titles from their collaborations with Western developers. Although the jury is still out on Lost Planet 3, it’s safe to say that Remember Me has turned out far greater than the likes of Dark Void and Resident Evil: Operation Raccoon City before it. 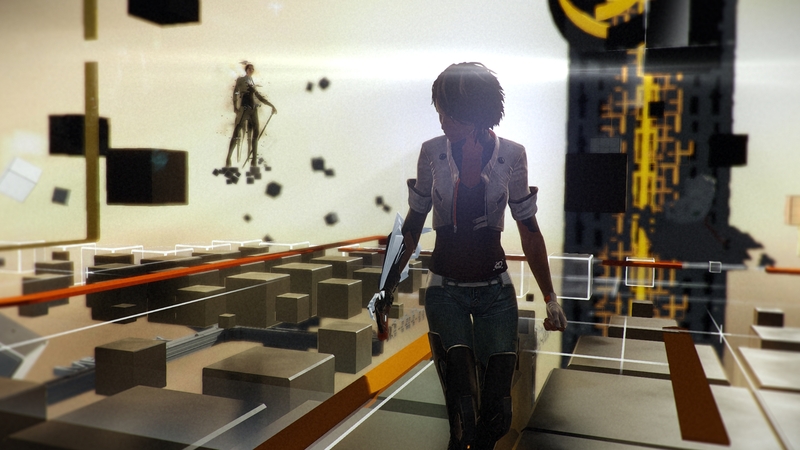 Not only was EDGE’s review of this third-person adventure one of the first to appear online, but it was also one of the highest – an 8/10. “While the world building isn’t on a par with the best – hampered by a civilian population as robotic as its metal cohorts – a rich backstory and architectural detail make Neo-Paris a place worth visiting,” they reported. EGM also enjoyed it, handing out a 9.0: “Remember Me strikes the perfect balance between narrative exposition and gameplay” was their final verdict. Other reviews have been somewhat less positive, like this 5.0 from Now Gamer and 5.9 from IGN who called it “very forgettable”. As much as we’d like it to become a sleeper hit due to its ambitious nature and the simple fact that it’s a new IP, it’s hard to see that happening given the mixed reviews. There’s still hope though that it’ll chart higher than last week’s Fuse – another new IP that divided critics.